We welcome you home to Papago View Apartments in the heart of Phoenix. 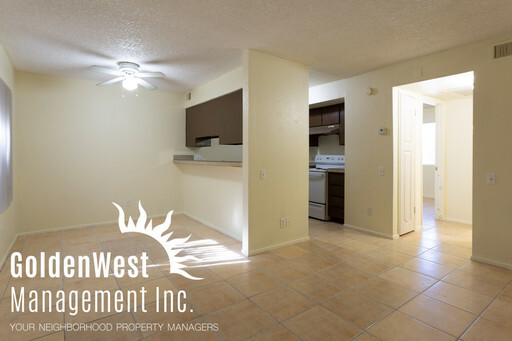 In your new apartment you will find a nice kitchen with plenty of cabinets, air conditioning, tile floors and tastefully updated bathroom. Residents enjoy the sparkling pool and the convenience of on site laundry facility. Enjoy life with nearby shopping, fine dining, and plenty of entertainment. Water, sewer and trash included. Small dogs are ok. Call us today to view this gem. Move In Special - One month free rent for qualified applicants.